Xenical is a medicine used by people with a BMI of over 30 to help them lose weight. You can calculate your BMI using an online calculator and inputting your weight, height and age. A healthy BMI is 18-25, and a BMI of 30 or over is classed as medically obese. Obesity can lead to potentially fatal conditions such as high cholesterol, high blood pressure, heart attack or stroke. It can also impede on your ability to lead a full and active life. Xenical comes in the form of a capsule and helps you to lose weight when lifestyles changes alone, such as a healthy diet and a programme of increased exercise, have not helped sufficiently. 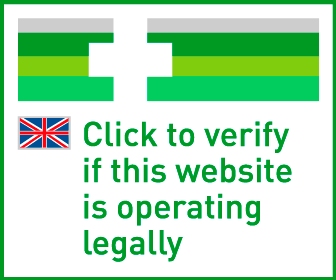 If you need to take Xenical tablets, you can buy them online safely from a UK doctor such as Doctor-4-U by completing our simple medical questionnaire and getting a certified prescription. It will be dispatched within 24 hours. Do you suffer from diabetes, heart disease, high blood pressure or high cholesterol? Have you ever been diagnosed with an eating disorder such as Anorexia Nervosa or Bulimia? Do you understand that treatment cannot be continued if you gain weight while taking the medication? Do you understand that you should take a multivitamin that contains vitamins D, E and K and beta-carotene? The vitamin should be taken once a day, at least 2 hours before or after taking Xenical (orlistat) such as at bedtime. Do you understand the treatment should be taken with a nutritionally balanced, calorie-controlled diet that contains approximately 30% of the calories from fat? It is recommended that your diet is rich in fruit and vegetables. Xenical is type of weight loss aid medication taken by people with a BMI of 30 or more in order to assist them in losing weight more than lifestyle changes alone would. Xenical should only be taken under your doctor’s recommendations, and when lifestyle changes have not worked. It is also available as the generic medication Orlistat. You need a prescription from a GMC/EU certified doctor in order to buy this medication online. To buy Xenical from Doctor-4-U, simply complete our online consultation and if you are deemed suitable, we will dispatch your medication usually within 24 hours. If you are not deemed suitable for Xenical, you will receive a full refund. Do you need a prescription for Xenical? Yes, you need a prescription from a GMC/EU certified doctor in order to buy Xenical online. With Doctor-4-U’s easy consultation process, you can get a prescription for Xenical safely and quickly. Select the item you want to buy, click “Start Consultation” and fill out the short medical questionnaire provided. If you are deemed suitable for your prescription, it will usually be dispatched within 24 hours. If not, you will receive a full refund. Chemically, Xenical and Orlistat are the same drug. They both have the same ingredients list (orlistat). The only difference is that Xenical has a brand name on it, which makes it more expensive, whereas Orlistat is what is known as a “generic” drug. There is no difference in side effects, dosage, or interference with other medications between the two products. However, if you have previously been taking Xenical, and are taking multiple medications that mean you may get them confused if you changed the name/packet type of your painkiller, you may wish to continue taking Xenical. 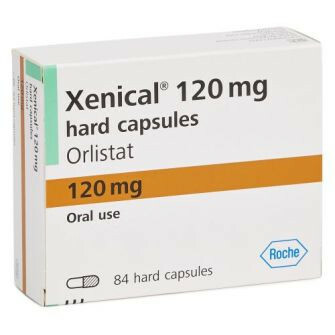 Xenical contains an active ingredient called orlistat. It helps you lose weight by reducing the amount of fat your body absorbs It fact, it stops a third of the fat you ingest from being absorbed into your system. The treatment works by binding to enzymes in your body called lipases, hindering your intestine's ability to absorb food. This process assists you in losing weight. Although Xenical is designed for those who have a BMI of over 30, your medical history and other medications may mean it isn’t right for you. You suffer from chronic malabsorption syndrome. You should always follow your doctor’s recommendation on taking Xenical, and only use the following information as a guide. The recommended dose is one capsule three times a day, each with a meal. The capsule should be swallowed whole with a glass of water.